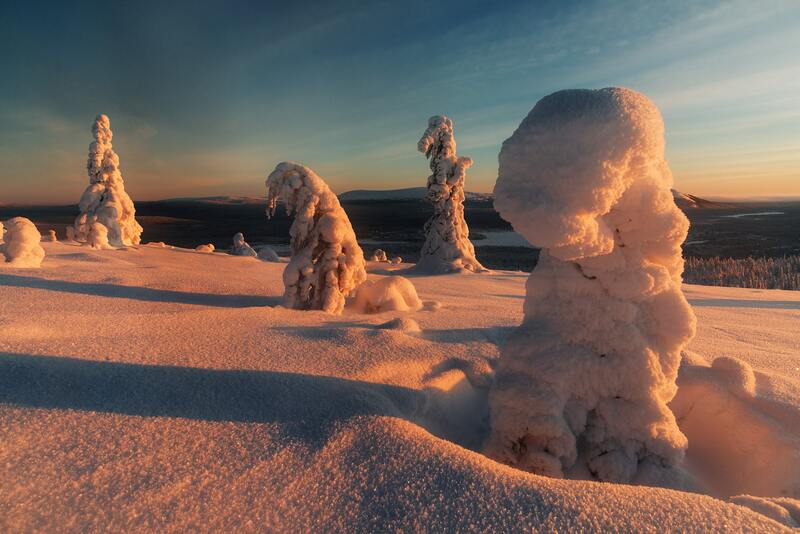 What to say about Lapland in winter? 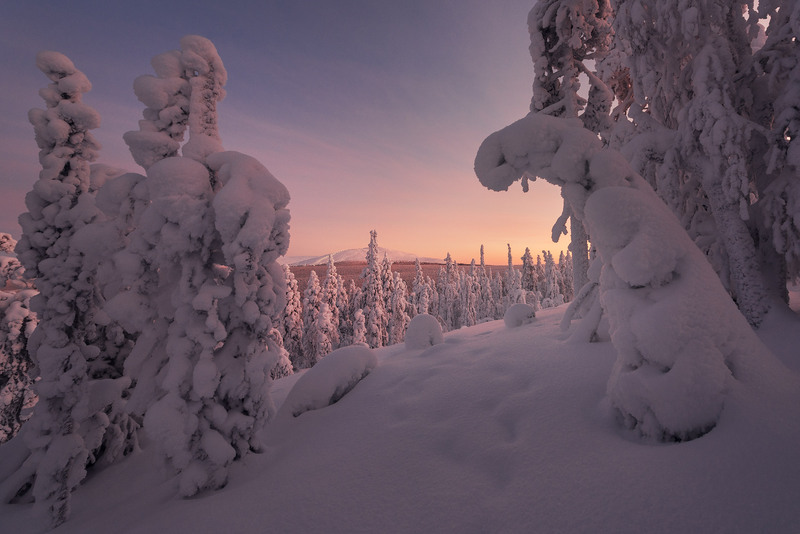 I think that probably many of you know it as “Santa’s Land”; endless landscapes of snow-covered forests, hours of golden light that create incredible light-shows between the trees, muffled and enchanted atmospheres, and icing on the cake.. The magnificent northern lights that dance in those skies at night! Probably the Lappish landscapes are not as “spectacular” as the Norwegian fjords or the Icelandic waterfalls, but in these places it is possible to establish a connection with nature that is difficult to make in other places; the silence, the cold and the snow make even a simple walk in these woods something almost transcendental. In this tour we will try to capture through photography all the emotions that I have just described above! !!!!! NEW DATE AVAILABLE FOR 2019/2020 !!!!! After all the participants are arrived at the airport of Kuusamo, we will transfer to the hotel to rest a bit after the trip, take a shower, eat something, but after.. Well, in case there’s still some sunlight we will have a first sunset photography session, in case it’s already night.. We can only hope to meet the lady of the night Miss. Northern Lights! 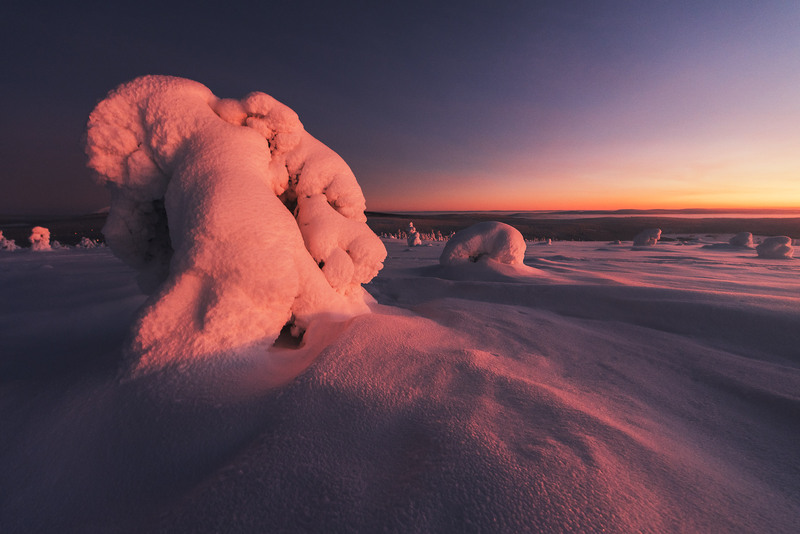 We will continue our exploration of Riisitunturi National Park, one of Finland’s most stunning parks, including ice statues, frozen trees and magical views! 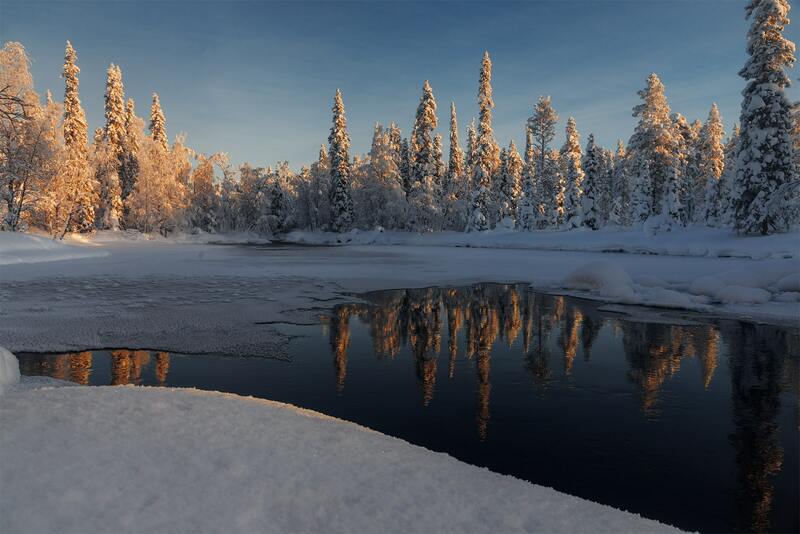 We will move to the town of Akaslompolo, in the heart of Yllastunturi National Park, another marvel of Finnish Lapland! Here we will continue the journey begun in Riisitunturi National Park: try to capture the atmosphere of these places in the best possible way! 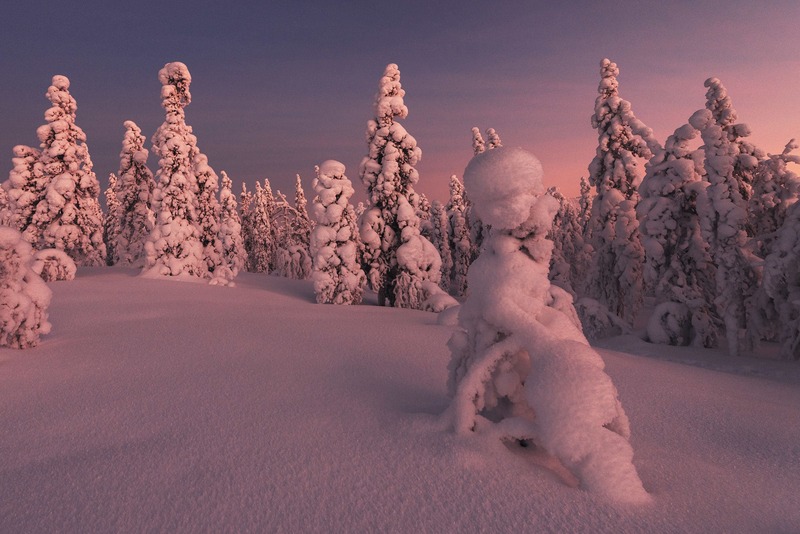 We will return towards the town of Kuusamo considering the departure of the participants on the following day; do not worry though, even today there will certainly be a chance to photograph incredible views of this magic land! Last day of the tour, unfortunately! During the day, the participants will be escorted to the airport to be able to take their flight back home. * The program may be subject to slight variations due to force majeure. I would recommend a tour like this to those who think they are at a beginner / intermediate stage and want to increase their skills in the field of landscape photography, as I think there would be a much greater personal growth, but logically everyone is welcome! In some cases it will be necessary to make some excursions to reach the designated locations; absolutely nothing challenging, I would define them more like “walks” than “hikings”, but we must take into account the cold and snow that do not facilitate the thing. In general, however, nothing that a person in normal physical condition can not deal with! Generally speaking, here you should find a list of goals, such as “photographing the aurora borealis”, “catch an incredible sunset over Skagsanden”, etc., trying to convince you that these are the only aims (or at least, the ones that matter) of the workshop you will take with me. They are not. 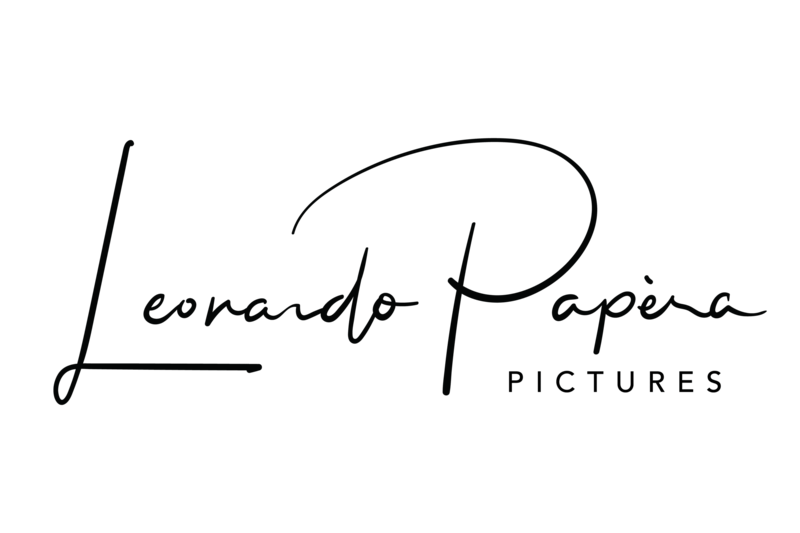 The main objective of the trip is not only to help you “make beautiful photos”, but to increase your photographic skills, starting from the most technical part to end up on the most expressive part. You will learn how to balance the two parts and get exactly the photos you have in mind. This is the goal that I set for the trip, to make you grow, photographically speaking, as much as possible, trying to teach you everything I’ve learned since I photograph! An ultrawide lens (such as the Nikon 14-24mm, Canon 16-35mm, Tamron 15-30mm, Tokina 16-28mm etc); we recommend a lens with a wide maximum aperture (like f/2.8) for night photography. A few weeks before your departure, we will contact you suggesting the best clothes to bring with you basing on the weather forecasts and the current temperatures, so that you will be perfectly equipped by the time of you arrival!